When I was 14, Old Navy opened their first ever store in North Carolina. It was a 35 minute drive from my house and it was the official hot style spot from the day the doors opened. Women by the SUV load were making their way across town to shop and everyone at my high school was buying one item in particular - corduroy overalls (coveralls if you are reading this in the UK). I remember they cost $29.99. I know this specifically because I recall having to babysit two Fridays in a row to buy a pair. Now, let me put a little perspective on this. I'm 14, I'm 5'11 and a good six inches taller than every other girl buying these overalls. But, I bought them anyway. When I got home, however, and tried to style them up, I just couldn't make the look work. They fit me awkwardly, they didn't fall at the hip the way every other girl wore them and they made me look about five miles wide. Overalls and I had a very short love affair. They were never worn out of the house. In fact, they sat in the back of my closet until I left for university and had to clear out my wardrobe. My problem wasn't with the overalls. My problem was lacking an original idea in how to wear them. As a teenager, I had absolutely no desire to look any different. I wanted to look like every other girl in school. I wanted to just be normal. So, I dressed as everyone else did. And when this tall figure couldn't rock something, I just abandoned the idea entirely. If I could only go back and talk to that teenager and explain the whole idea of original style. But, that's a story for another time. 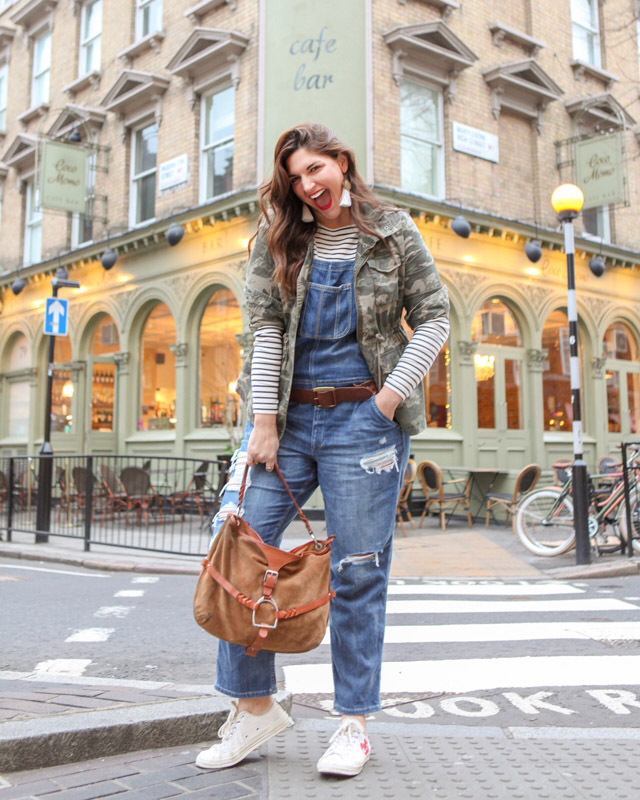 For now, let's concentrate on 2019, and the joy in finding a pair of overalls that I absolutely love and am styling seven ways to Sunday. This is no joke. I live in these. But, I also know they are not the most flattering item I have in my closet, so I have to be creative in how I wear them. There's always a layering of patterns and garments of different shapes and sizes. That might change, but for now, that's how I'm wearing them. I love the cropped leg. It makes them a little easier to wear and they look killer with everything from ankle boots to converse. If you are looking for a great pair, these are from American Eagle and come up to a size XXL. 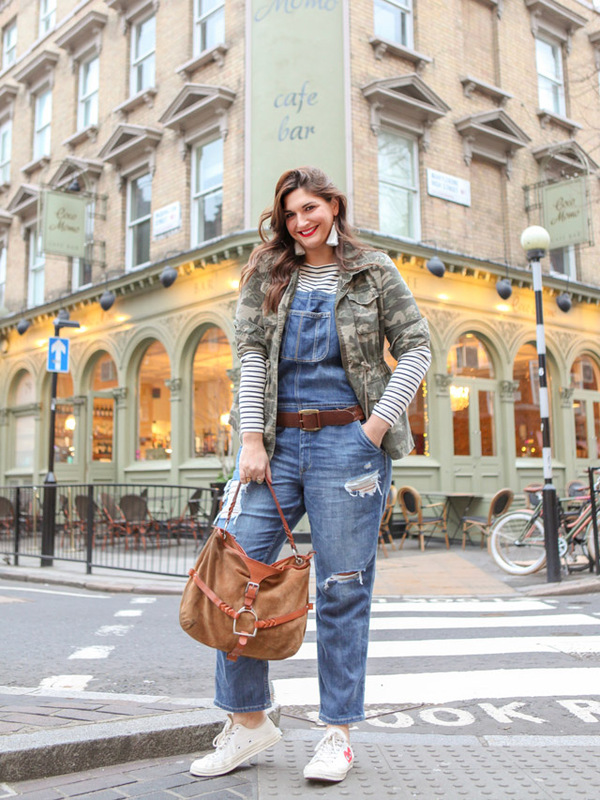 But there are also about a dozen other pairs of overalls to suit every body type out there, from petite to tall! 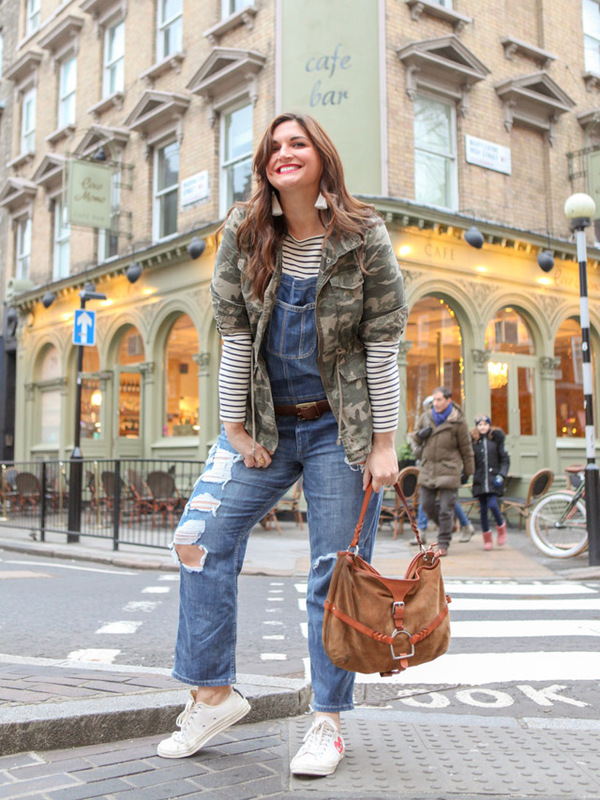 So, get involved, be original in your styling and bring overalls back into your key wardrobe!